The Fresh Fiction Podcast is brought to you by REVELL BOOKS and BETHANY HOUSE, publishers of THE RECKONING AT GOSSAMER POND by JAMIE JO WRIGHT. Two women, separated by a hundred years, must uncover the secrets within the borders of their own town before it's too late and they lose their future--or their very souls. 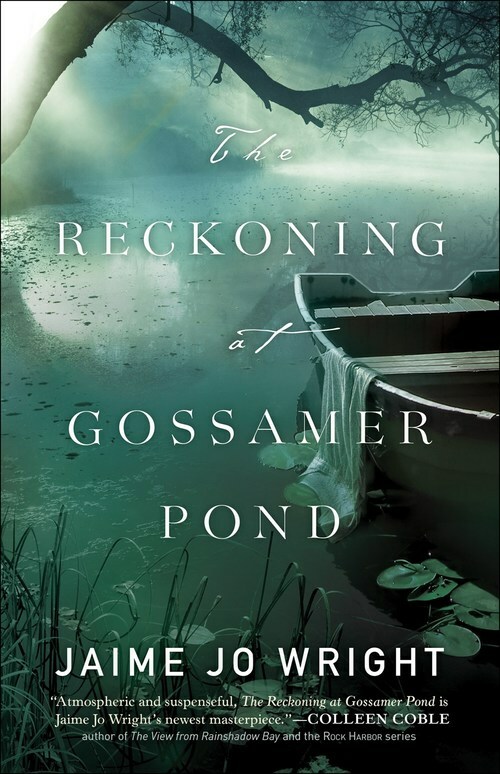 This is the riveting plot for Jamie Jo Wright’s newest mystery THE RECKONING AT GOSSAMER POND. Today, Jamie joins me to discuss the novel, what readers can expect in this twisty story, and shares what she’s reading, watching, and listening to right now. We’re still growing, so please help us out by subscribing and rating the podcast, leaving a comment, or even just sharing it on social media. You can find us on twitter, Instagram, and on Facebook. I’ll be back next time with something new to watch, read, and listen to! For over a century, the town of Gossamer Grove has thrived on its charm and midwestern values, but Annalise Forsythe knows painful secrets, including her own, hover just beneath the pleasant façade. When a man is found dead in his run-down trailer home, Annalise inherits the trailer, along with the pictures, vintage obituaries, and old revival posters covering its walls. As she sorts through the collection, she's wholly unprepared for the ramifications of the dark and deadly secrets she'll uncover.